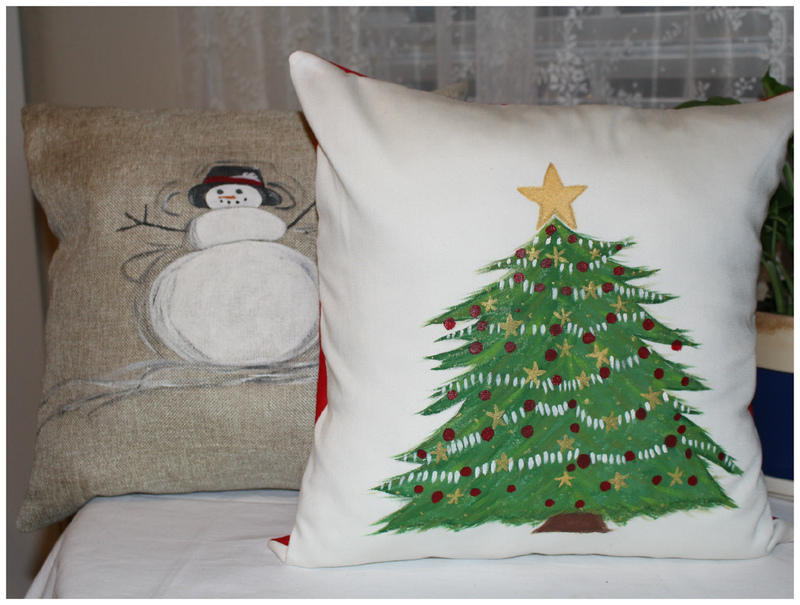 I have another knock off today from the Pottery Barn Christmas pillow and the cost is $29.50 but my cost was only $1.00. I had all the supplies on hand and all I needed was green paint. I started out making an envelope pillow just like the one I made here. 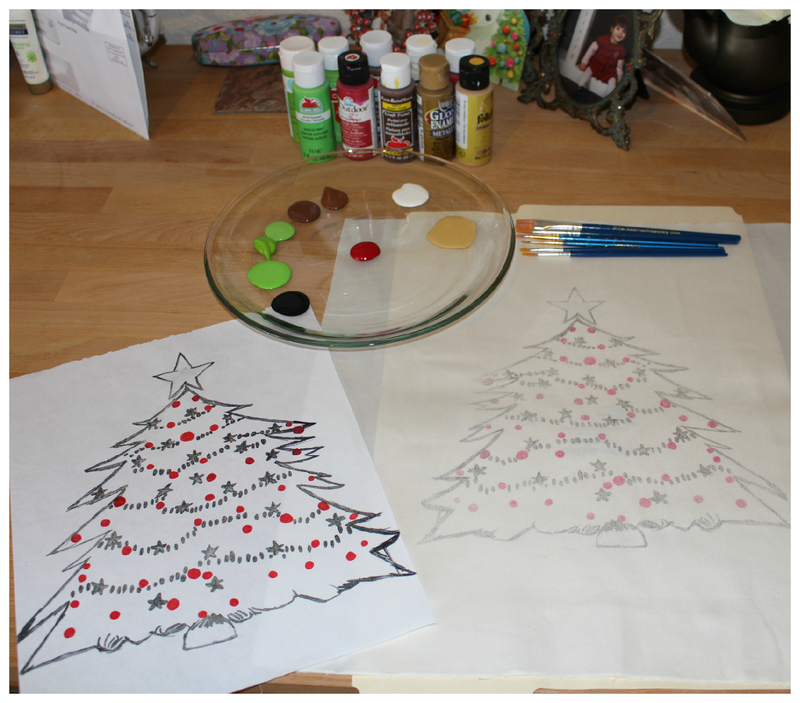 Before I assemble the fabric pieces together, I went ahead and took an 8 1/2 x 11 piece of freezer paper, a black sharpie and made a christmas tree. Then I ironed it on my white fabric and now I am ready to paint. Here is the finished product and I love how it turned out. What's great about painting, is the more you layer the better the painting looks. I just kept adding layers to this Christmas tree and I love how it turned out. Here are both of my Pottery Barn inspired pillows and I just love how they turned out and all I spent was $1 for both. My snowman pillow you can see here. Who wouldn't love that! I have received a lot of queations about how to make these pillows and I am actually going to be doing a how-to video class in a couple of weeks. I am so excited and I hope you will sign up to join me live for this tutorial. More information will be coming out soon so you can sign up. Happy you stopped by! Have a great weekend! I would love to join you live! I love the pillows. Will look forward to hearing when you will be doing it. How fun! Oh I love those pillows! Thanks for the inspiration to get out my paints. Much nicer to make your own than store bought! So pretty! I wish I had artistic abilities to do this! Love, love them both! You are very talented. I don't have the artistic ability to do this. I will be watching for the tutorial though. Beautiful pillows. It's great to be inspired. coming over from BOBB group. You need to open an Etsy shop! You make it look so easy, but there are a lot of people that would rather buy...like me!! :) Happy Thanksgiving my friend!! I really like your pillows they are beautiful! That's beautiful Vanessa! I love them both. I like your slogan on your blog makes me feel like I can be crafty too. I love your pillows they're so cute. 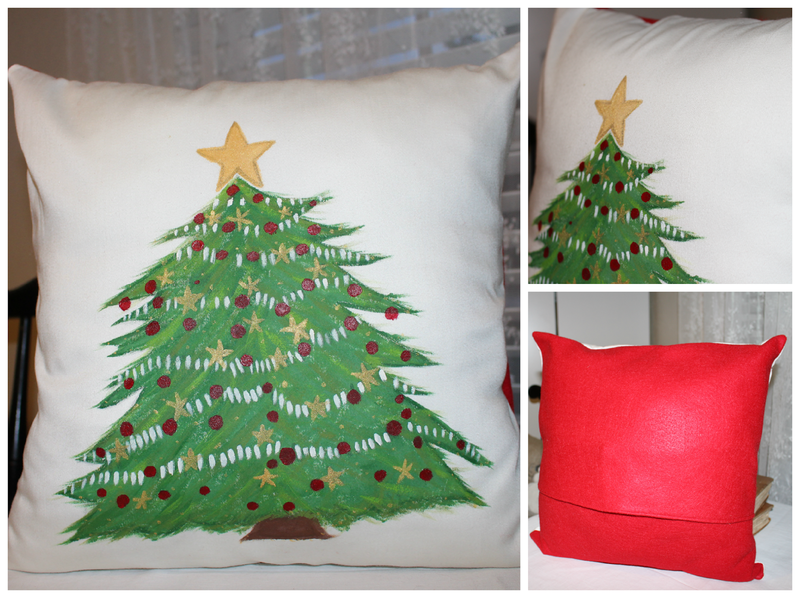 Your Christmas pillows are wonderful, Vanessa! I can see this ctechnique ould be used for all the seasons. How gorgeous! Looking forward to see your video.